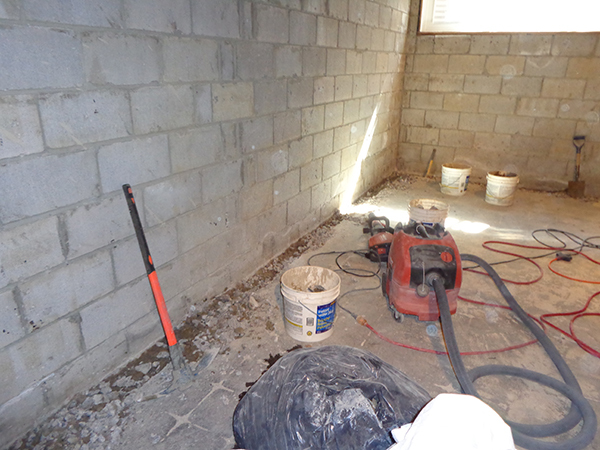 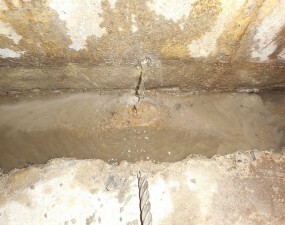 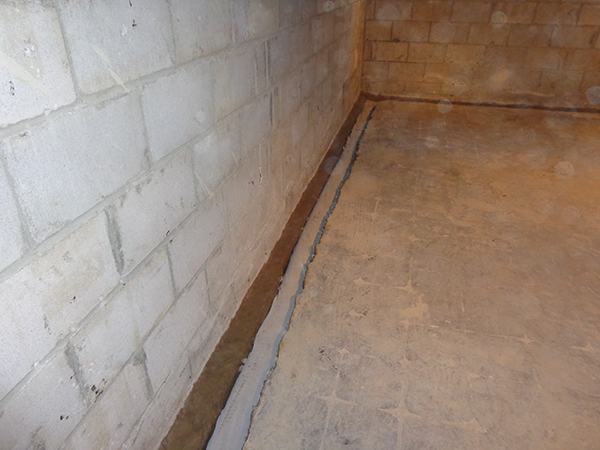 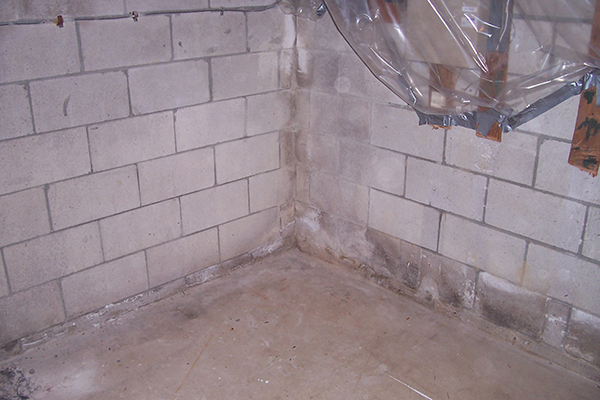 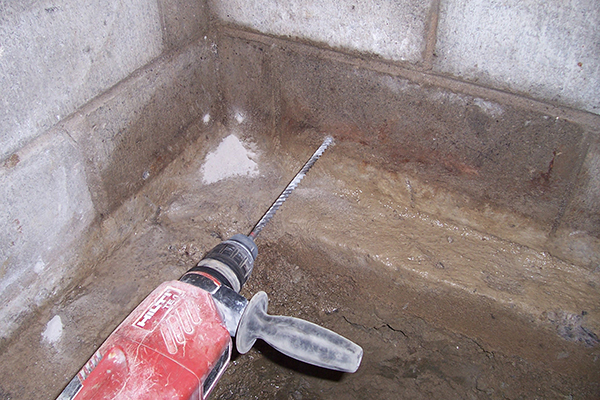 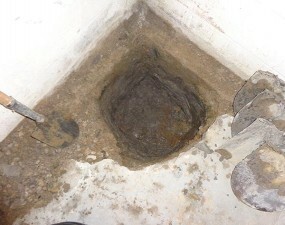 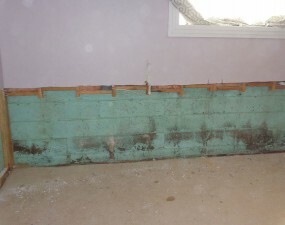 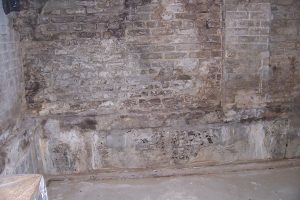 Do you have a wet basement from leaking cinder block foundation walls? 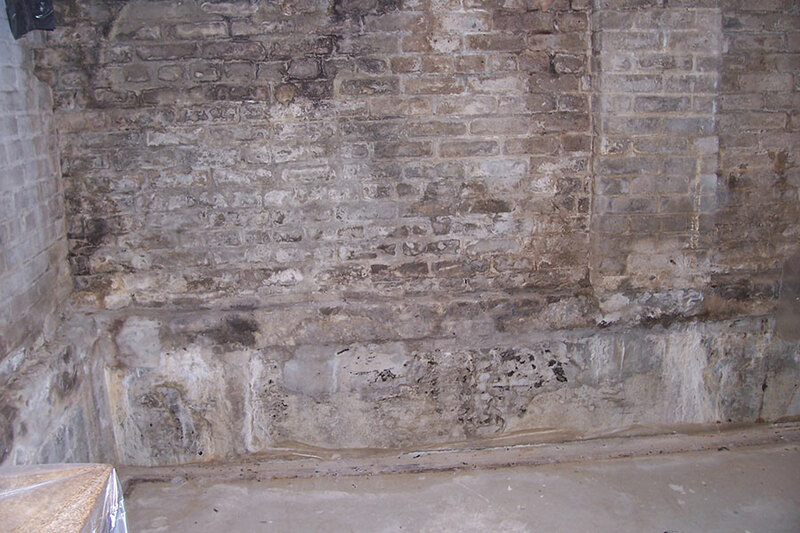 Do you have visible signs of leaks in the basement like peeling paint, efflorescence, darkness or discolouration on the walls or water pooling on the floor? 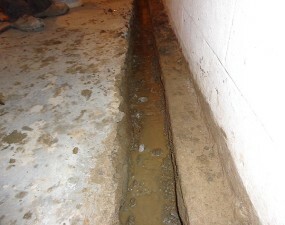 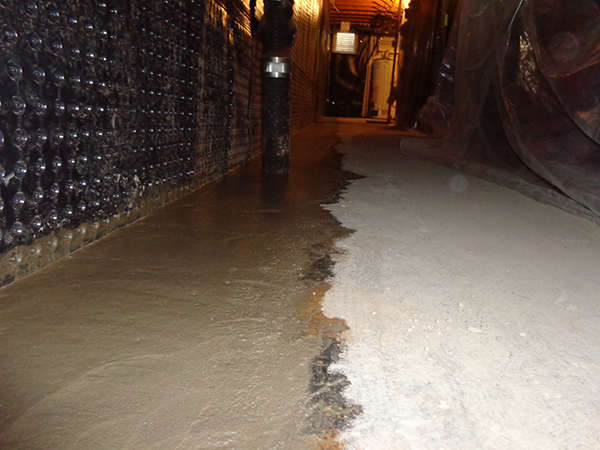 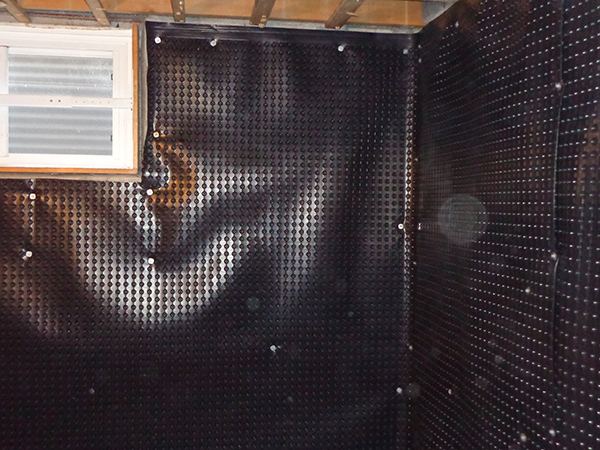 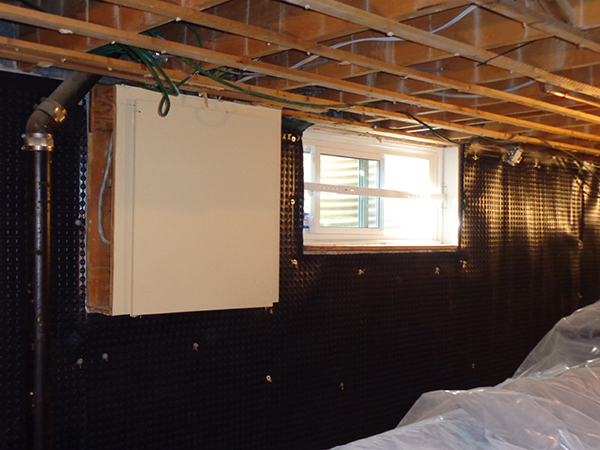 Does your finished basement seem damp, wet or have a musty smell to it? 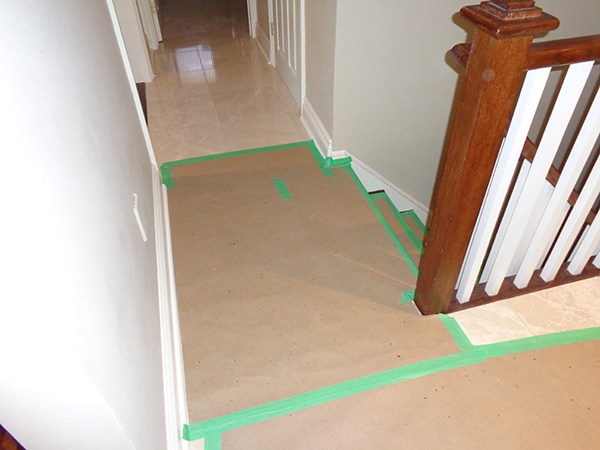 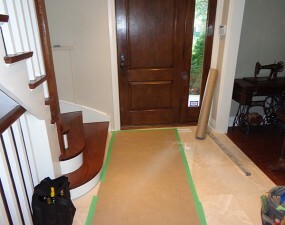 Are the baseboards or carpeting wet after a rainfall or when snow melts? If you know or suspect your foundation walls are leaking then it’s time to call the GTA’s first choice for waterproofing contractors, PCS Basement Waterproofing Specialists. 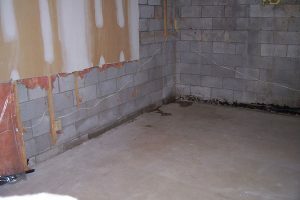 The floor is broken up approximately 6-12 inches wide along the perimeter of the leaking foundation walls to expose footing. 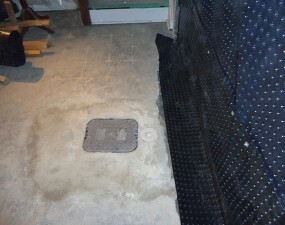 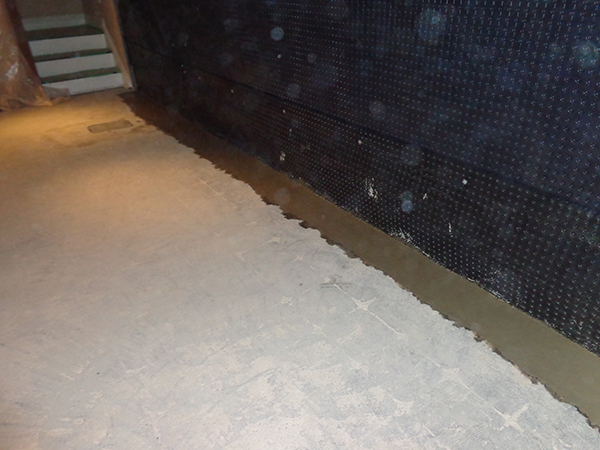 The broken out concrete is removed and a narrow trench is dug out to allow for installation of 4 inch perforated weeping tile with filter cloth and drainage stone. 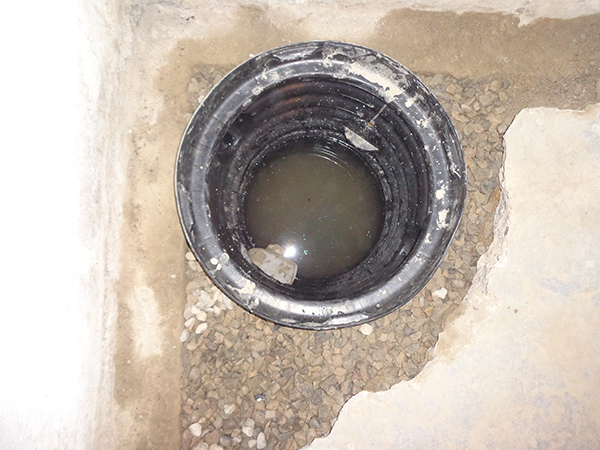 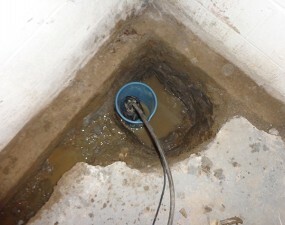 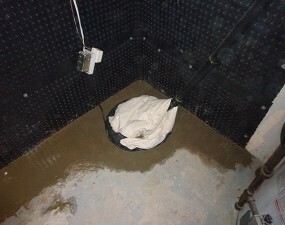 The weeping tile is routed to a sump pump for discharging collected water to outside the home a minimum of 15 feet away from foundation walls. 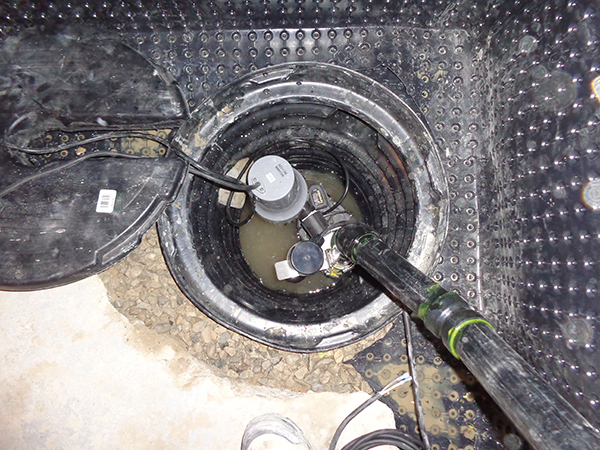 **Note: Connecting a sump discharge line to your wastewater system has been illegal in most municipalities in Ontario since approximately 1975 when Ontario Building Codes were first introduced so be wary of anyone making this suggestion. directs the water down to the drainage system below the concrete floor. 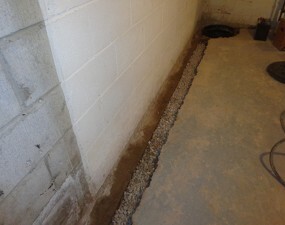 The trench is then resurfaced with new concrete. 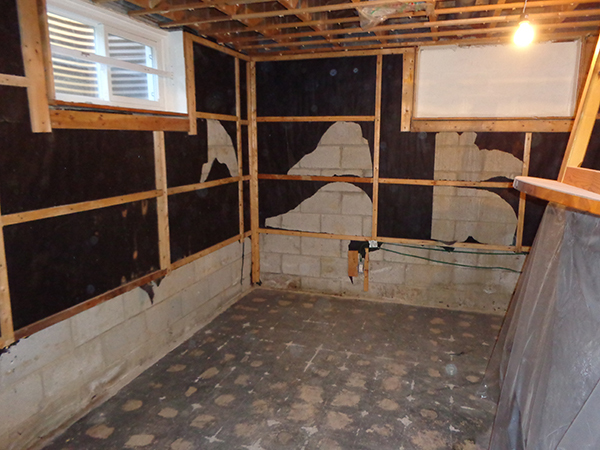 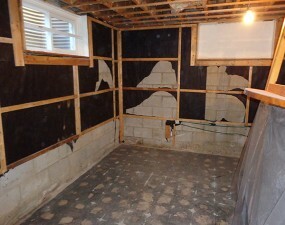 Wet blocks, paint peeling and efflorescence on walls uncovered in finished basement. 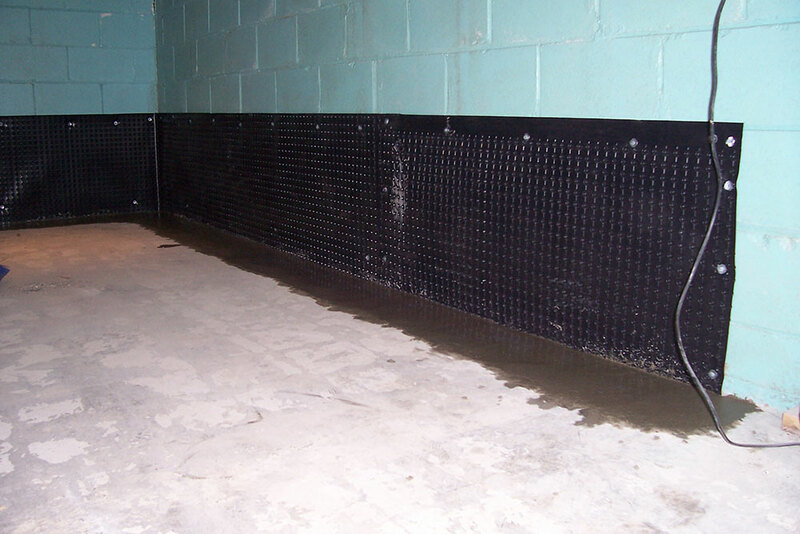 Internal Water Control System with standard membrane height installation.